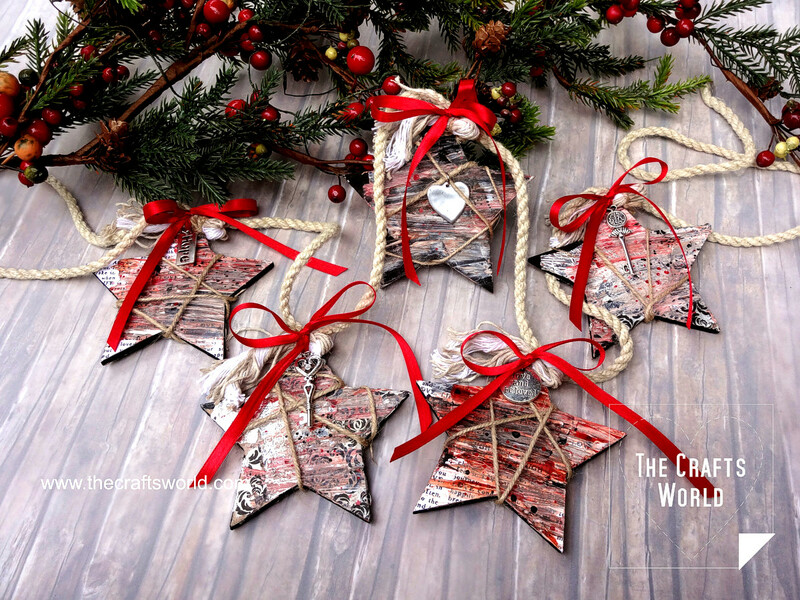 Christmas garland of stars on hemp rope with handmade tassels can decorate any place of your house. 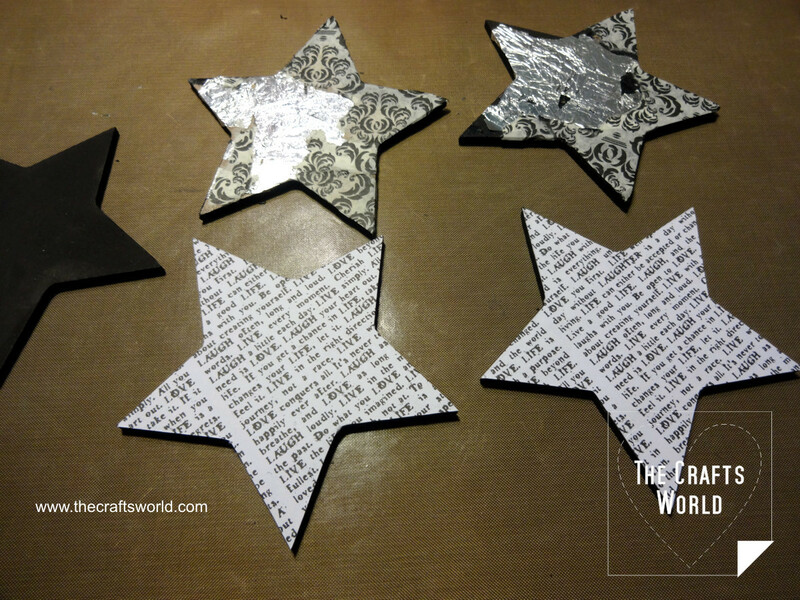 MDF star shapes are partialy covered with CCB papers and aluminiun foil and distressed with a mix of TA paints and heavy structure paste. Hemp rope is used to make tassels that are part of the top binding decoration with the rope chain, using some bold red satin ribbon. 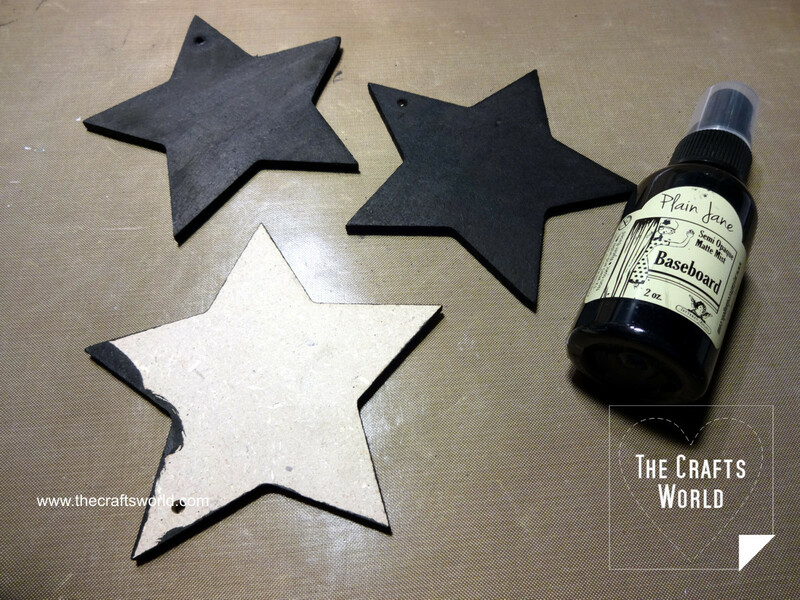 Paint the stars using the baseboard paint. Glue CCB paper cuttings, tissue paper and aluminiun foil. 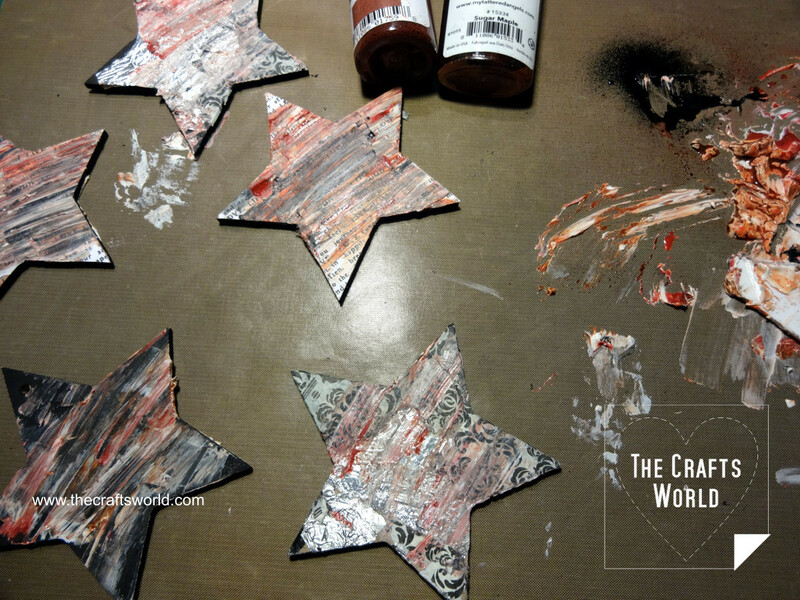 Messy mix the heavy structure paint with TA mists and distress with the help of a pallete knife the surface of the stars. Let them dry well. 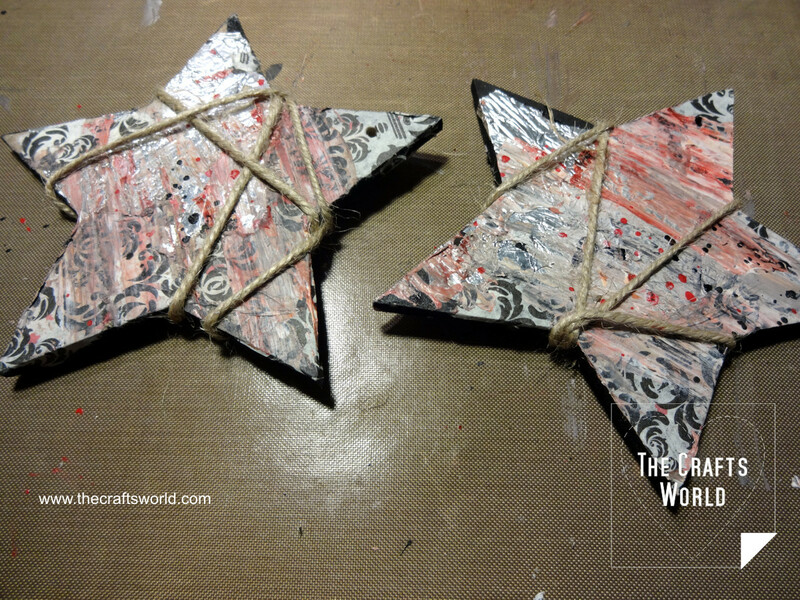 Tie some burlap rope around the stars. Fix at the top back. 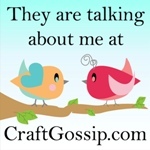 Cut about 4in (10cm) long pieces from the twisted hemp rope. 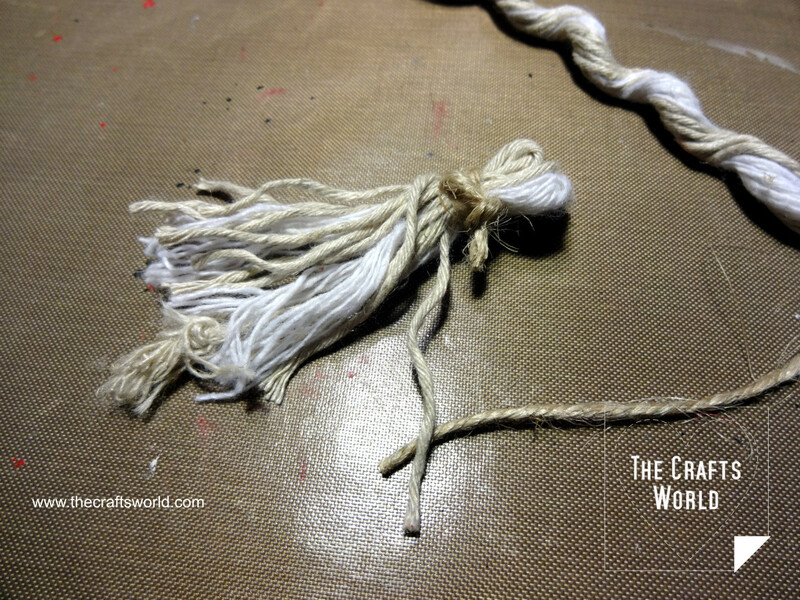 Untwist from both sides, fold in half and use some burlap rope to secure them, creating tassels. 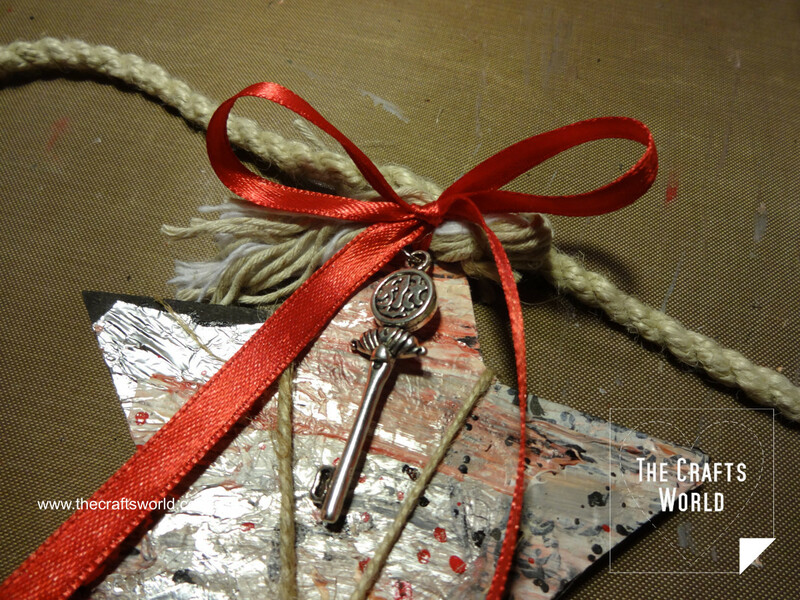 Make a bow with the red satin ribbon, binding together the rope (used a chain) and the tassels. Add metallic charms. 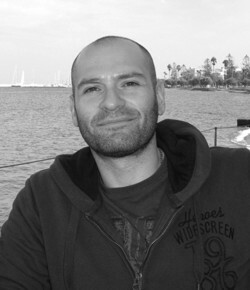 Love this Kyr. I am going to try this on some left over MDF bauble shapes (Kaiser) to string a wreath for our market stall at Christmas time next year. Thanks so much for the tutorial.